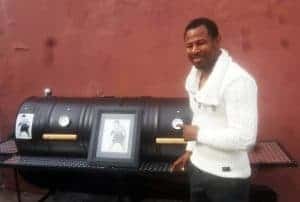 Moss Grills was mentored by Henry Armstrong in St. Louis, Mo. Herbert Hoover Boys Club. 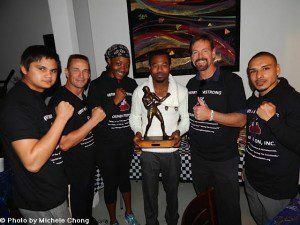 Today Henry Armstrong Foundation is Edward Scott is the CEO of the Henry Armstrong Foundation. 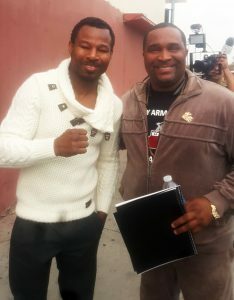 Moss Grills participated in the MLK King Day parade with the champ Sugar Shane Mosley, during the King Day Festival in tribute to Dr. King’s legacy. 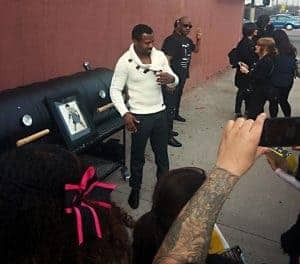 A post parade BBQ was hosted by Moss Grills was held at the Reggie’s Menlo club with the unveiling of a Henry Armstrong Double Barrel Grill presented by the Champ. 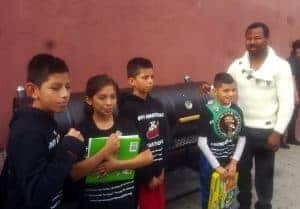 The grill was donated to the WBC youth boxing lead organization to think and read like a champ, the parade was broadcast live on ABC 7.